Sandor Petofi was a very well known personality in Hungary. 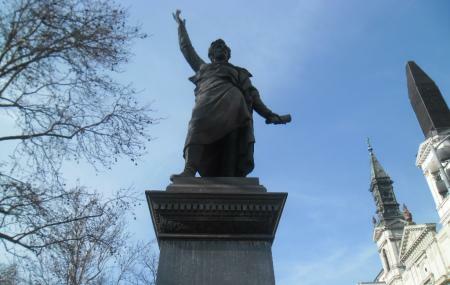 This statue was originally situated in the main square of Segesvar. It is made by Miklos Kollo and it was transported to Budapest during World War I. People really respect Sandor Petofi and have given him the title of Hungarian National poet. Through his works, he took major part in the revolution of 1848 and was one of the main liberal revolutionaries of the time. This statue is made in his memory and is dedicated to him. How popular is Sandor Petofi Statue? People normally club together Batthyány-örökmécses and Postal Stamp Museum while planning their visit to Sandor Petofi Statue.